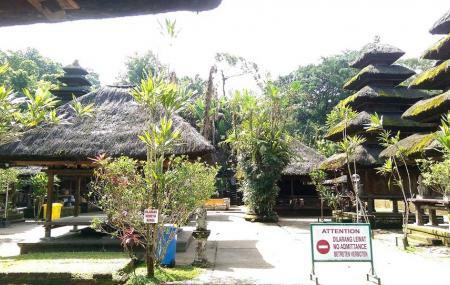 Located in the Tabanan area of Bali is this beautiful Hindu temple of Pura Luhur Batukaru. It is located on the southern slope of Mount Batukaru which is also the second highest active volcano. The temple is very sacred among people who deem it to be Kayangan Jagat or directional temple that ward off the evil. The temple was originally established in 11th century by the Rajas of the Tabanan which was later destroyed in 1604 and rebuilt in 1959. The temple beholds a very important shrine with a seven tiered meru dedicated to Mount Mahadewa, the lord of the mountain. The place sees its peak during the festival that takes place once every year hence it is better to check it out beforehand. Ensure to explore the stories that this place holds during your visit! Top attractions of Bali worth your visit include Tanah Lot Temple, Tirta Empul, Mount Agung, Mount Batur and Bali Bird Park. Visit these and also discover other interesting things to do in Bali before planning. Insider tips and expert guides will make sure you enjoy the city to its fullest. You can do so by booking any of the Bali tours. Make your visit suitable to your interest, use Bali trip planner for personalization. You can add cozy hotels in Bali like Yulia Village Inn Ubud, Bije Sari Suite Bisma, Batu Empug Ubud and Gatra Ubud Inn. Draft the best Bali vacation packages using ideal templates offered by TripHobo. Also explore how to reach Bali on the go! Don’t complain about climbing the stairs if you are visiting the place. It is very sacred to folks. How popular is Pura Luhur Batukaru? People normally club together Nungnung Waterfall and 7 Air Terjun Sambangan while planning their visit to Pura Luhur Batukaru. It was nice but there wasn’t very much to see. One of the wonderful temple in Bali.located in the middle of the nature.there is a magic around here, rice terraces, clean rivers,hot springs, batukaru mountain is recommended as well to explore. One of ancient temple, has a nice ambience n located in montain area. Very quiet place. Amazing serenity and very calm temple. Because it is so far out it is not over run with tourists, so you get to really take in the spirituality of the temple. When we visited there was lite drizzle which I felt added to this beautiful place.